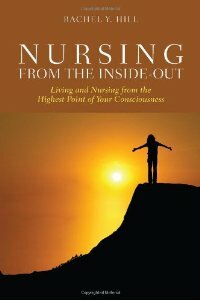 Nursing from the Inside-Out: Living and Nursing from the Highest Point of Your Consciousness provides holistic self-care modalities that allow the nursing professional to achieve self-awareness through individual practice and application. Self-care consciousness helps nurses create the balance in their lives that support mental, spiritual, and physical growth. Through use of these tools, the nurse is able to maintain inner balance in the busy and changing world of healthcare, while simultaneously establishing meaningful connections with patients.